6" X 9" black and white paperback version is a less expensive of the Coil bound version. Among the differences is the lack of a spine and the LAY-FLAT ability of the coil version. Otherwise, the material inside the book is the same. This is an updated and enlarged version of Captain Mike Ray's original "Unofficial ... " series that has been used successfully by airline pilots for years. 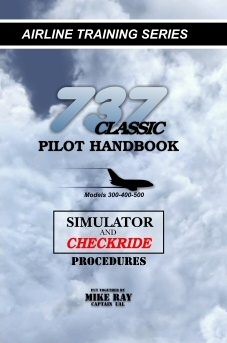 With the increase of fabulous simulations being introduced into the PC Flight Simulation community ... this is a terrific source of information for the serious simmer. With a whole flight profile from Cold Dark start to parking/secure ... it lays out in intricate detail all the steps to "fly like the pros!"